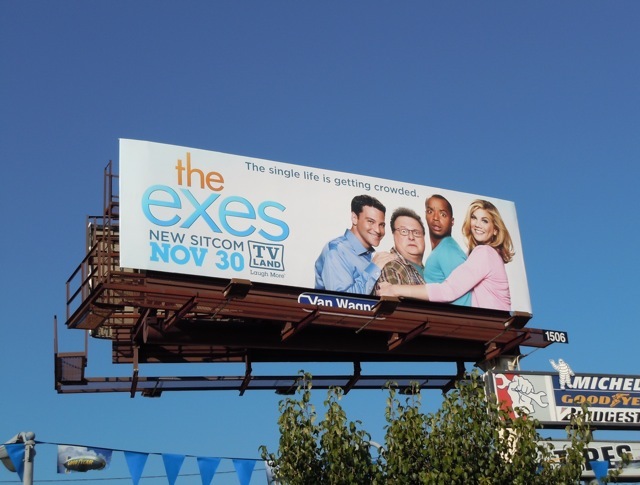 There's a lot to be said for keeping things simple and the more you see this billboard creative for new sitcom, The Exes, the more it grows on you. 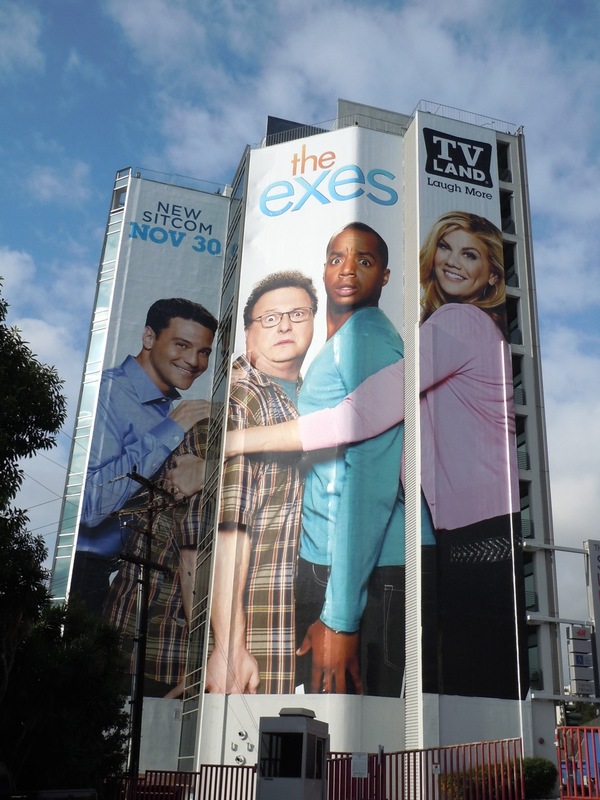 This new series seems to almost be the male equivalent of Hot in Cleveland (actually airing after the establish comedy), having three ex-husbands living in the same apartment owned by their female divorce attorney, who lives opposite them. 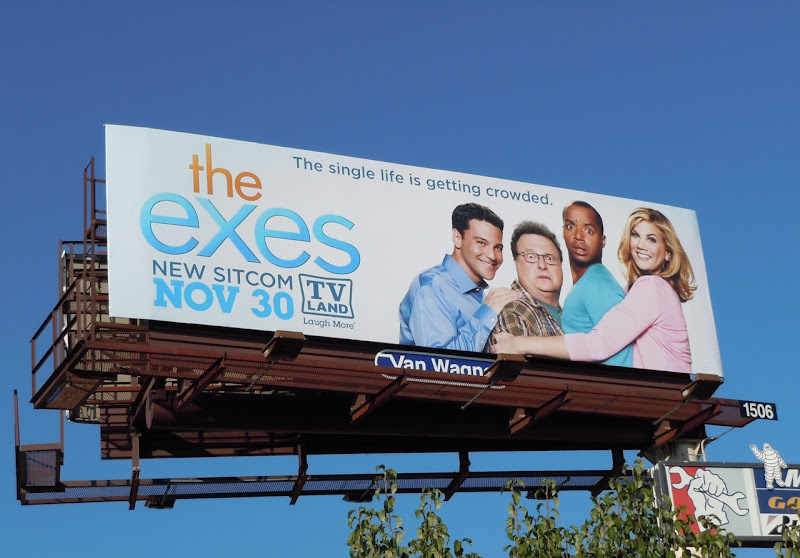 David Alan Basche, Wayne Knight and Donald Faison are the divorced trio, whilst Kristen Johnston is their lady landlord making the faces and bringing the smiles in these billboard ads. 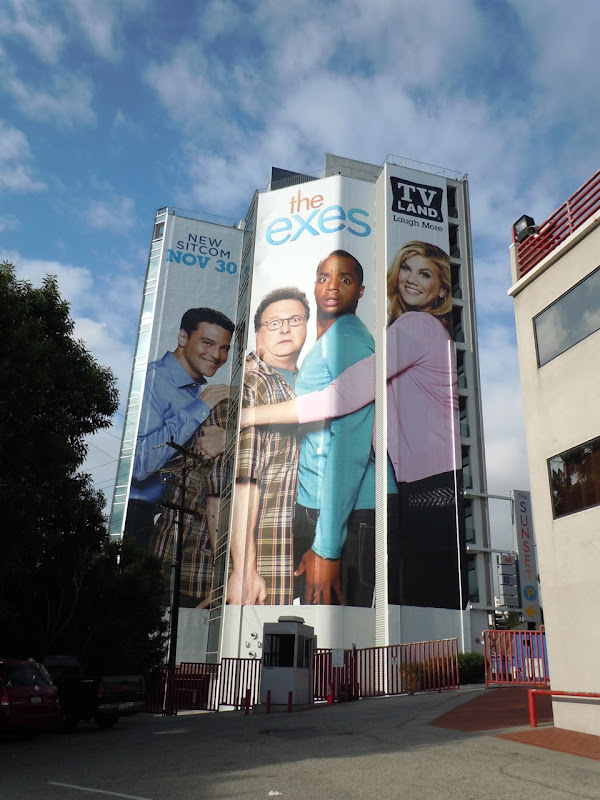 The standard size billboard for the new TV Land comedy was snapped along Fountain Avenue at Highland Avenue on November 16, and the super-sized version photographed along Sunset Boulevard at Alta Loma Road on November 19, 2011. 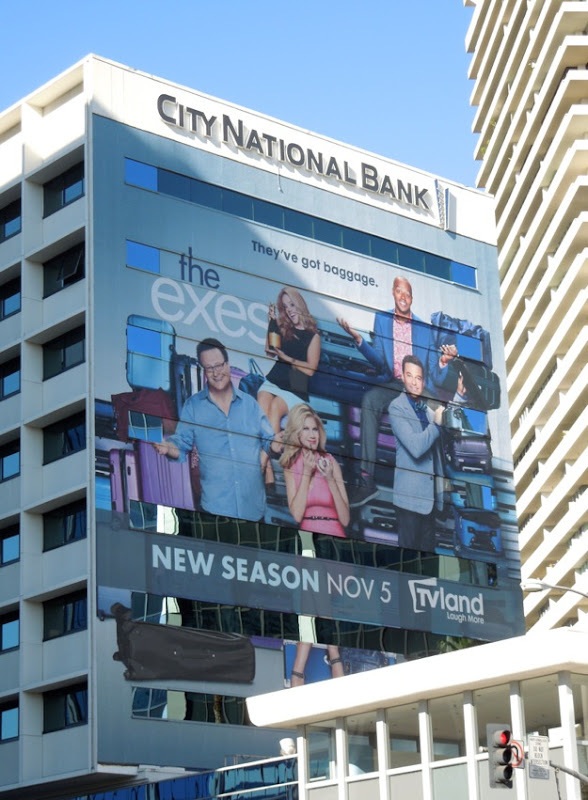 UPDATED: A few years later and here's the super-sized fourth season billboard for The Exes spied at the start of the Sunset Strip on October 29, 2014.